While the video has us scratching our head (is it serious or is it a joke?) the TiFi is an interesting gift choice this Father’s Day. 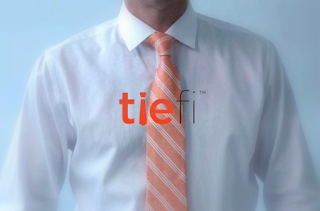 Described as being a mix of classic and clever, the TiFi is just as it sounds – a tie that is WiFi enabled. The device reroutes home WiFi signals to the tie and emanates a signal within a 10 foot radius – requiring all the kids to huddle around dad. We’d like to see Jim Duggar handle one of these. Not so cool, can expect the person to wear the tie when he is home? Somehow, I appreciate the efforts to address the problem.